On Saturday April 25, 2009 we were at the Four Points Sheraton in Mars, PA. 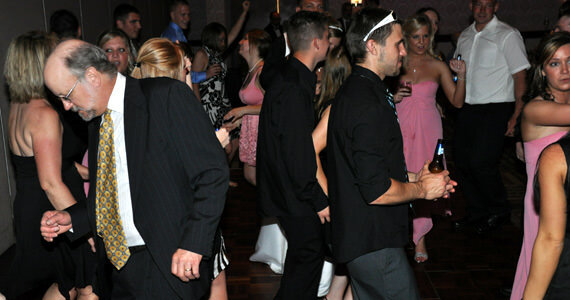 The event was a wedding reception for Jared & Lindsey Collier. Jared and Lindsey currently reside in Rhodesdale MD, but are originally from Western Pennsylvania. The wedding reception started at 4:30 pm followed by the introduction of the bridal party around 5:30 pm. 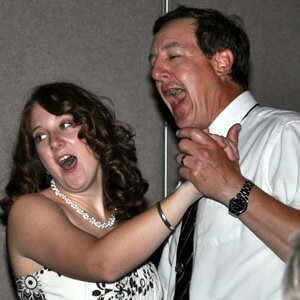 Jared and Lindsey opted to be introduced to “Stranglehold” by Ted Nugent, which was quite funny. After the introduction they cut the cake and then played our version of The Newlywed Game, prior to dinner. After dinner, Jared and Lindsey shared in their first dance as husband and wife to “It’s Your Love” by Tim McGraw and Faith Hill. One of the most memorable moments of the evening occurred when Jared’s grandparents Mr. & Mrs. Clyde & Pat Collier won the anniversary dance. 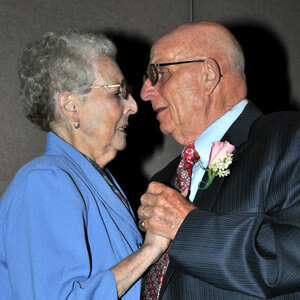 This was made even more special by the fact that they were celebrating their 56th wedding anniversary that very day. After a standing ovation, we invited Clyde and Pat to share in a special dance to their original wedding song, “Because” by Perry Como. There was not a dry eye in the house. The fun didn’t stop there, actually it had just begun. 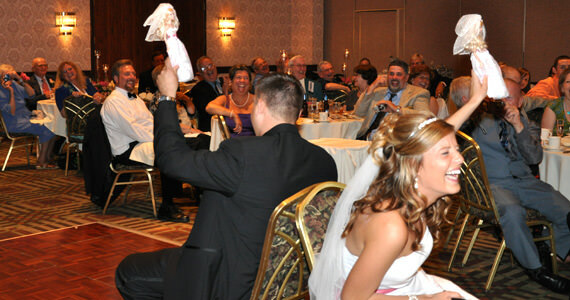 Although it was a smaller wedding reception of about 81 guests, there was no lack of energy and excitement in this crowd. We opened up the dance floor with Grand Funk’s “Some Kind of Wonderful” and that’s all it took for this wedding reception to start rocking. 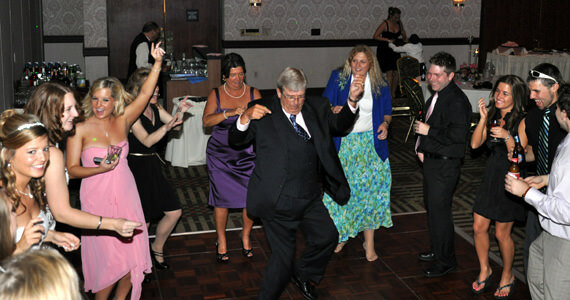 At one point during the evening the banquet coordinator from the Four Points Sheraton even got into the fun as she jumped up on the dance floor to show the bride and some of her guests the steps to “The Electric Slide” – they had forgotten how to do it. 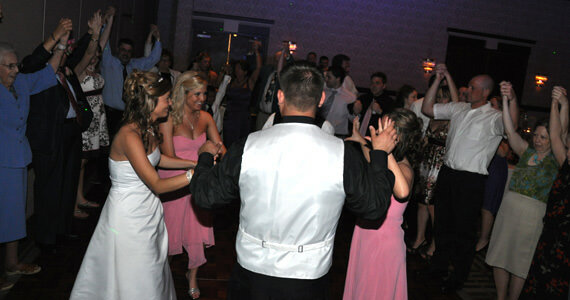 The Four Points Sheraton’s wedding package is 5 hours, so the event ended at 9:30 pm. However, no one really wanted to leave. Below are some photos from the event.